Welcome to the Starters Team, Erika Smyth! And the Starters family continues to grow! We are very excited to welcome Erika Smyth to the team as our new Client Account Manager! The former Minnesota Gopher softball player comes to us from an IT company where she spent 2 years as the Client Relations Manager. Her experience on the field and in the business world will make her an incredible asset to the Starters staff. Erika will also continue her club coaching role with Starters as she makes this full-time transition. “I am very excited to enter the business development side of athletics and continue my career as the Client Services Manager at Starters Sports Training. I additionally look forward to simultaneously continue my coaching career while putting a high focus on college recruiting for the young women in the Starters Softball organization. I am incredibly grateful for this unique opportunity to work in my passion with the hardworking staff at Starters!”, said Smyth. Kevin Nagel, Senior Director of Accounting and Operations, is thrilled to have a new addition to the Accounting and Operations department. When asked about the newest member of the team he stated, "Starters is excited to welcome Erika Smyth. Her experience, both in the professional work-setting as well as college athletics, will be a valued resource to our families." Erika, a Washington state native and 2011 graduate of Kentlake High School, is a two time First Team All-League award winner and four-time Gold Glove award winner as a high school shortstop. She still holds her high school record for most plate appearances without a strikeout (182). She was recruited by former Gopher Softball Head Coach Jessica Allister, and signed her NLI to play softball at the University of Minnesota where she was a four-year letter winner. 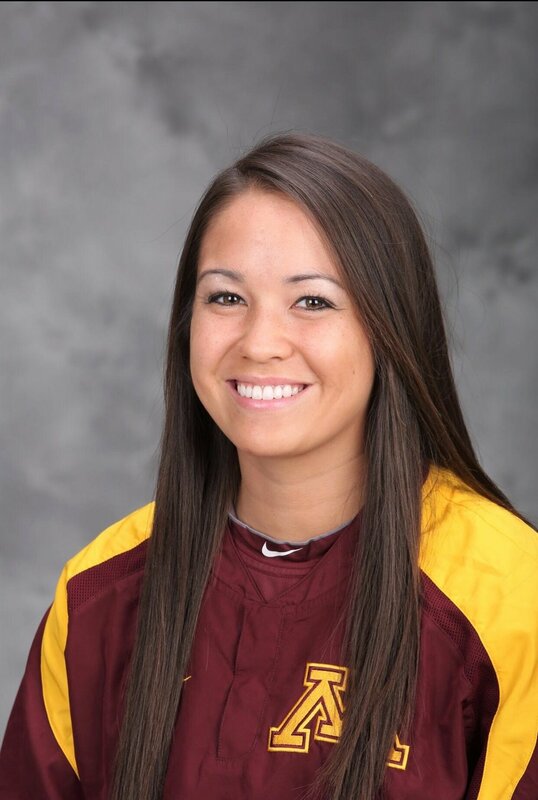 Erika was a part of the historic class of 2015 that took Gopher Softball to their first Regional appearance in 10 years in 2013, first Big Ten Championship in 15 years in 2014, and the first Regional Championship and Super Regional appearance in 2014. She ended her career having started 110 games at second base and posted a perfect 1.000 fielding percentage in 2014. She is the first and only player in Gopher Softball history to win back-to-back Teammate of the Year awards in 2014 and 2015 – the only award voted on by the players. Erika graduated in 2015 with her Bachelors in Business and Marketing and was a three-time Academic All Big Ten Award winner. Newer PostWelcome to the Starters Team, Nate Trelstad! Older PostWelcome to the Starters Team, Greg Nesbitt!